Meet CEO &amp; Founder Velma Trayham of the Largest Multi-Cultural Marketing Consulting Strategy Firm, "Thinkzilla"
Meet CEO & Founder Velma Trayham of the Largest Multi-Cultural Marketing Consulting Strategy Firm, "Thinkzilla"
My Name is Velma Trayham to many and Chief Executive Officer of ThinkZilla PR Group . I'm a PR, Business and Branding Expert in the Sports & Entertainment Industry. I ensure brand visibility,A Return Investment and maximum exposure for my clients . There seem to be a lot of like minded members .. part of my job is communication and building relationships . if feel that this platform is great for that . 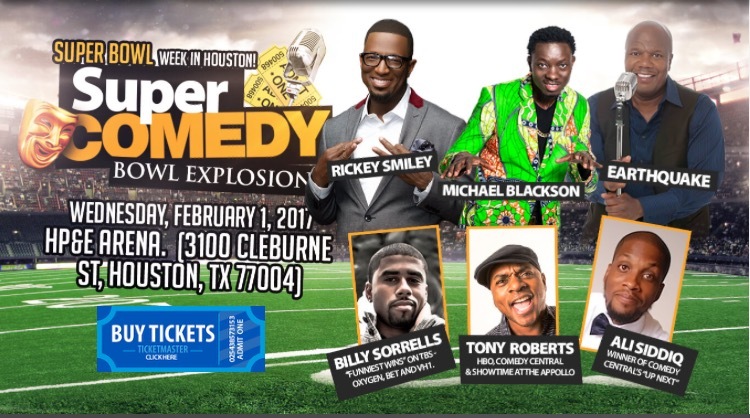 All-Star Comedy Lineup Welcomes Football Fans to Houston, Laughing All the Way up Until the Big Game!